Summer is the time for long journeys be it by car, plane or train. 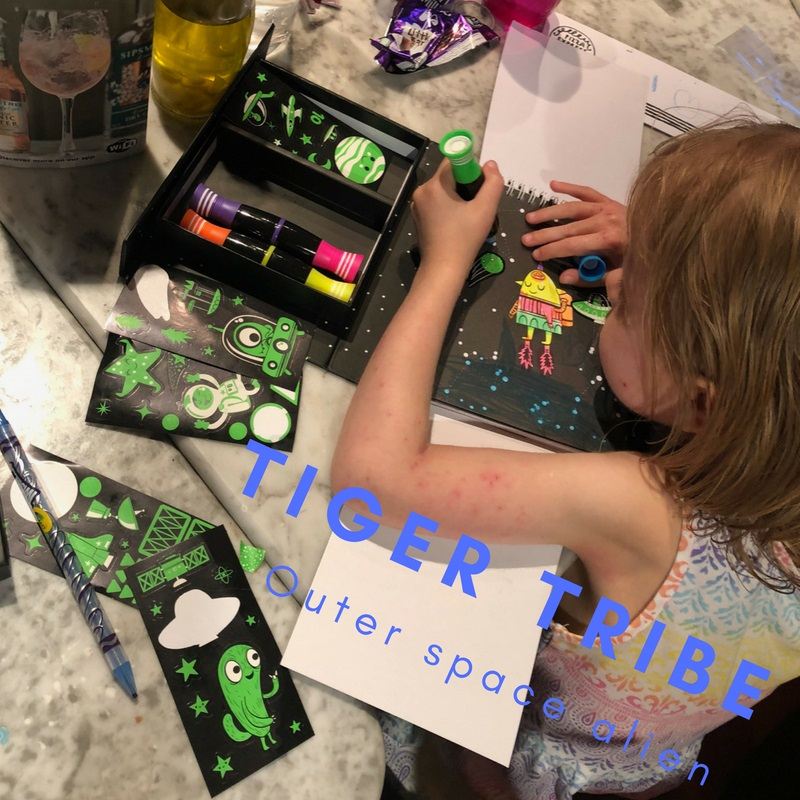 Away from home for a couple of weeks it’s also worth while packing a few craft activities and smaller toys to keep children entertained in restaurants so you can relax and enjoy your holiday too. So we have picked our top 5 travel toys that we have tried and tested for younger children (I will pick some other travel toys for older children next time). 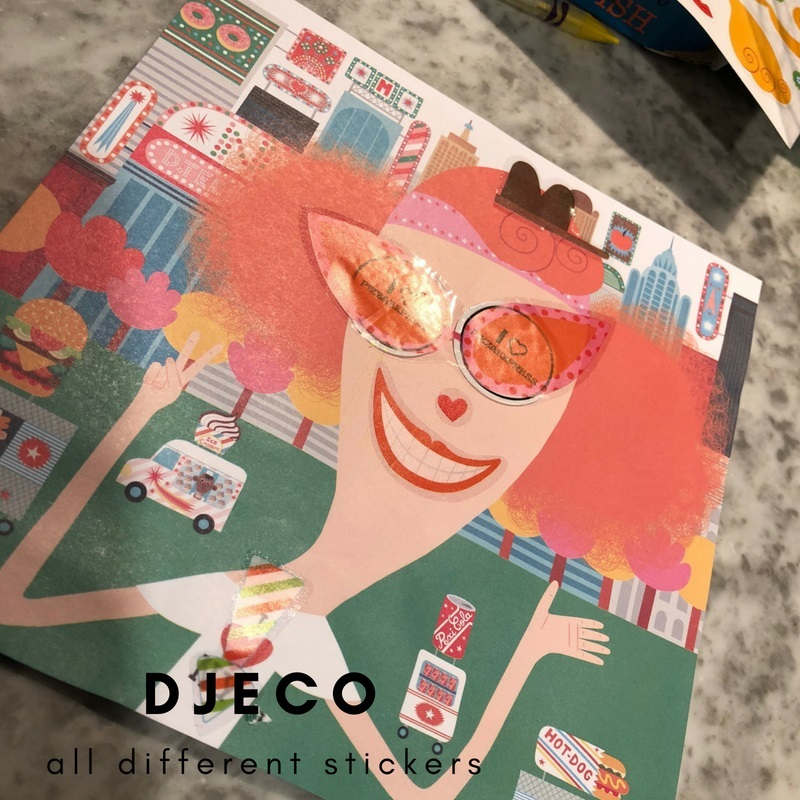 Djeco Stickers All Different are perfect for journeys and in restaurants. Designed for children aged 4 years and upwards we had great fun in Pizza Express with children aged 3, 5 and 13 years and us adults couldn’t help having a go! With a bumper pack of 240 stickers of different eye, nose, moustache, bow ties stickers and 16 blank faces (4 designs) there was plenty for all to have a go and giggle at the wacky faces we made. Water Painting For Toddlers or Magic Painting as it is sometimes called is perfect for young toddlers as it is mess free and easy to do. 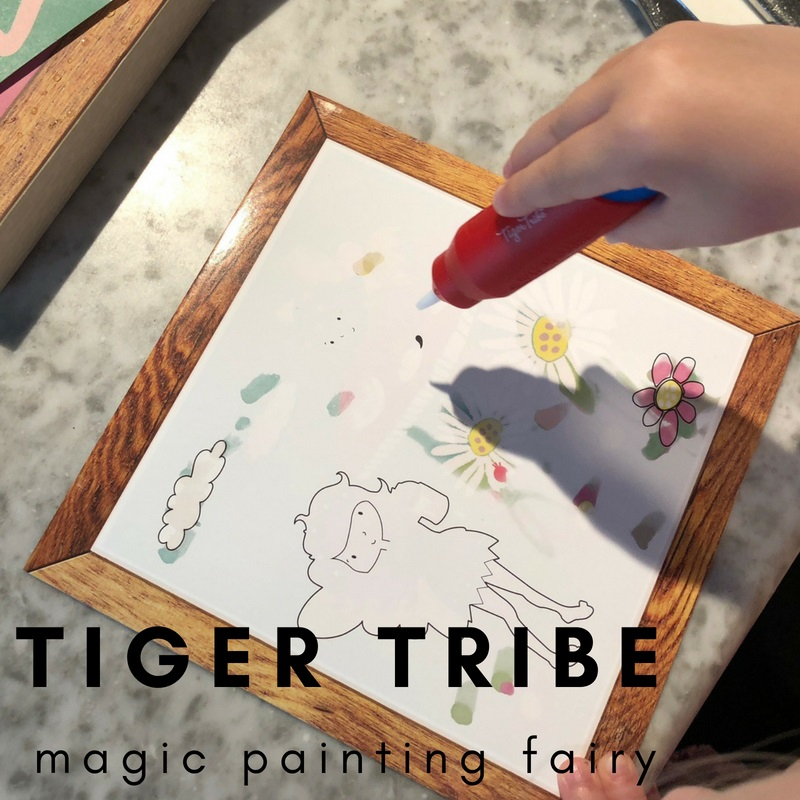 I love the Tiger Tribe Magic Painting Sets that are either a fairy garden or a dinosaur. They come illustrated with a pretend wooden frame so look beautiful when finished. 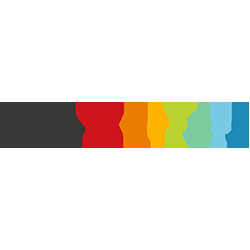 Designed for 1 years and older, if you have a group of children to entertain older children still enjoy it and four pictures are included so enough to share around. Don’t forget when they dry you can reuse them another day. 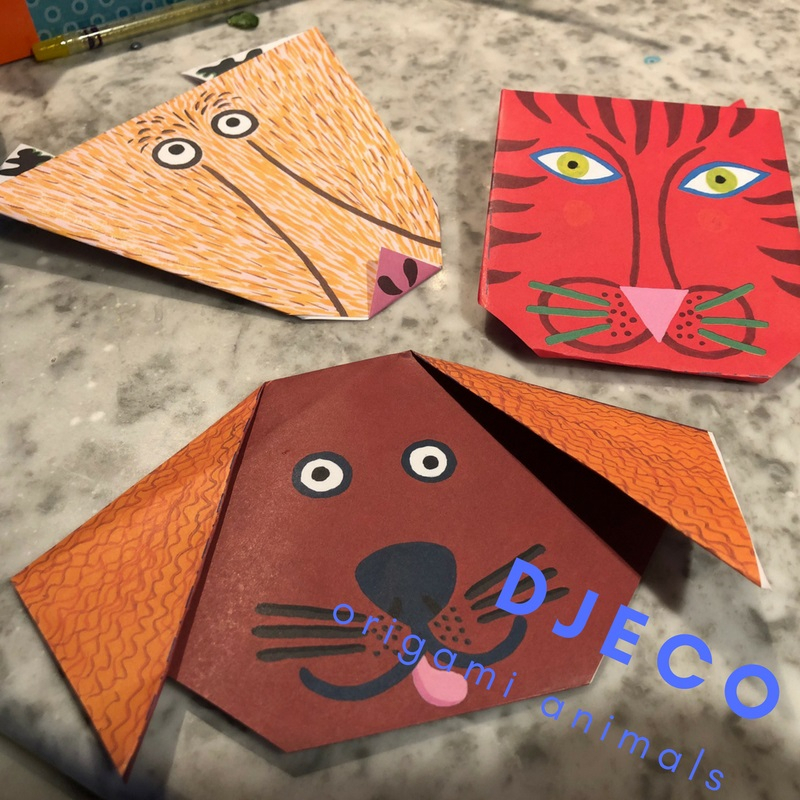 Djeco Origami Animals are great for all the family. Again, we did these at Pizza Express and they were easy enough for the children to do on their own whilst we all had a good chat! With 36 sheets of animal origami papers to fold there was plenty for all to have a go. 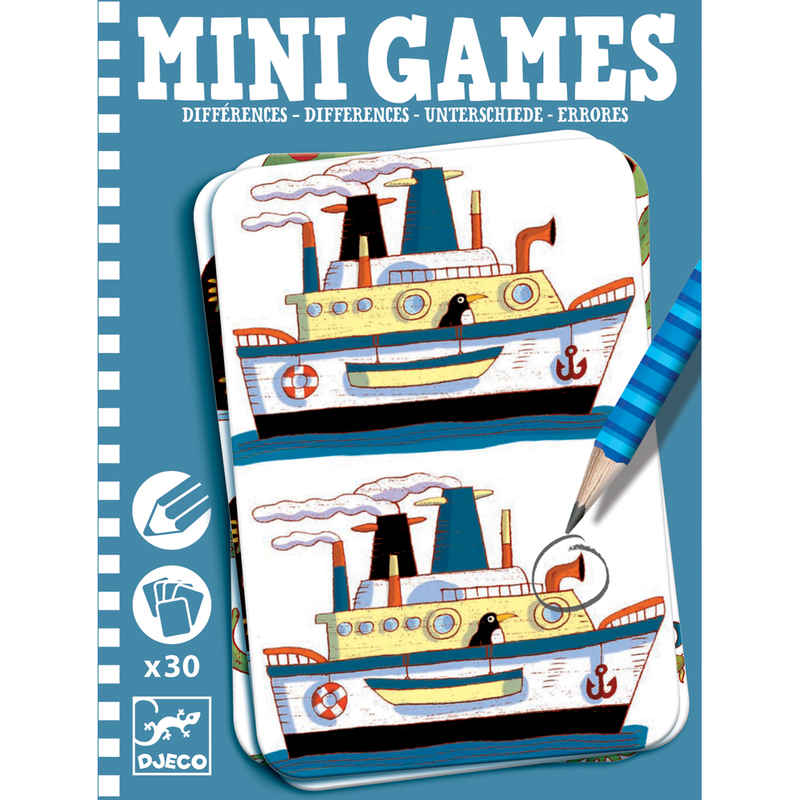 And finally, the whole range of Djeco Mini Games is ideal for journeys and whilst away on holiday. Housed in a small packet each set comes with several cards, which can be shared amongst siblings, of sudoku, spot the difference, guess who, mazes, colouring and battleship games. All are printed on cards and come with a pencil meaning there are no bits to lose! Starting at £4.95 these really make perfect travel toys. Is your holiday beach RNLI guarded? 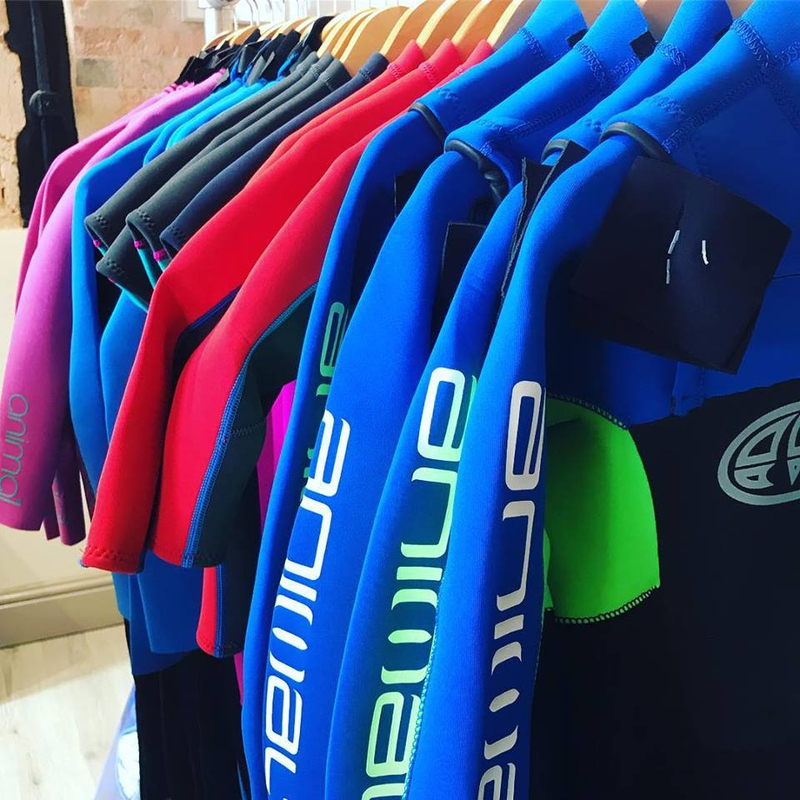 What should you do if stung whilst in the sea?